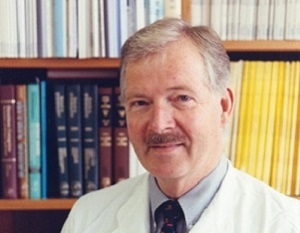 Dr. Helmut Sies spent his career studying the role of micronutrients in cancer prevention and specifically focused on carotenoids and flavonoids. He discovered that lycopene – a carotenoid and antioxidant found in tomatoes and carrots – can reduce the damaging effects of oxygen produced by our body’s essential metabolic processes and has strong skin cancer prevention effects. His research also illustrated how flavonoids (found in cocoa products) can prevent skin damage caused by ultraviolet radiation, improve blood vessel function and reduce cardiovascular risk. Dr. Sies’ recent research was focused on selenium, a trace metal found in foods such as certain nuts, seafood and organ meats that is essential for good health. Selenium is required to repair oxidative damage in key antioxidant enzymes called seleno proteins. Dr. Sies discovered that not only are seleno proteins strongly decreased in colon cancer tumor cells, but they are also strongly expressed by immune cells in the stomach and gastro-intestinal tract. Moreover, he found that dietary selenium compounds stimulate colon cells to produce seleno proteins. That means that ingested food could provide a potential mechanism for how selenium supports immune health and cancer prevention. In 1985, Dr. Sies established the concept of oxidative stress. He found that an imbalance between oxidants and antioxidants in favor of the oxidant leads to a redox signaling and control disruption and can cause molecular damage. Click here for Dr. Sies’ latest Annual Review article on oxidative stress. Additionally, during his career, Dr. Sies studied essential fatty acids that can prevent inflammation and cellular signaling pathways in cancer development, and looked at the role of nitric oxide in cancer and heart disease-related events. Helmut Sies , M.D., grew up in northern Germany, where the natural environment instilled in him a fascination with science and discovery. At the age of 17, he traveled to a small town near Cincinnati, Ohio as part of a student exchange program and he lived with a physician whose dedication to medicine had a profound impact upon him. Upon returning to Germany, he graduated from Jakobson-Schule in Seesen in 1961. In 1967, he completed his M.D. certification in Munich. Dr. Sies served as Professor and Chairman at the Institute of Biochemistry and Molecular Biology at Heinrich-Heine-University Dusseldorf, Germany. He was President of the NRW Academy of Sciences and Arts, Chairman of the Gordon Research Conference on Carotenoids, President of the Society for Free Radical Research International, Vice-President of the Council for the Lindau Nobel Laureates Meetings and a member of the German National Academy of Sciences. Throughout his career, he received numerous honors and awards, including an Honorary Ph.D. degree from the University of Buenos Aires and an Honorary M.D. from the Universidad de la República, Montevideo. He was awarded the FEBS Anniversary Prize (1978), the Ernst-Jung-Prize for Medicine (1988), the Claudius-Galenus-Prize (1990), the Werner-Heisenberg-Medal of the Alexander von Humboldt Foundation (1999), the Linus Pauling Institute Prize for Health Research (2013) and the Trevor Slater Award of the Society for Free Radical Research International (2014). Dr. Sies published more than 600 original research papers and book chapters about nutrition, antioxidants, cancer prevention and human health. NFCR funded Dr. Sies’ research for more than 30 years, until his retirement in 2016. Your ticket for the: Helmut Sies, M.D.